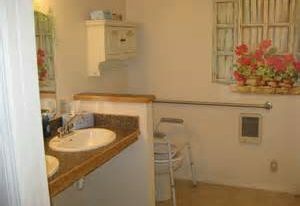 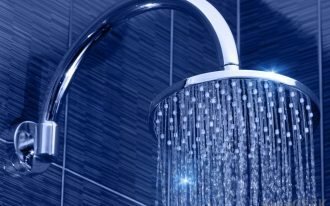 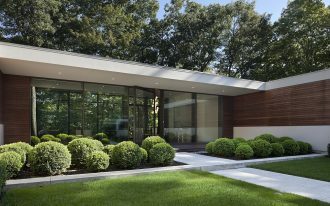 Bathroom is often regarded as a minor thing than the other rooms of a house. 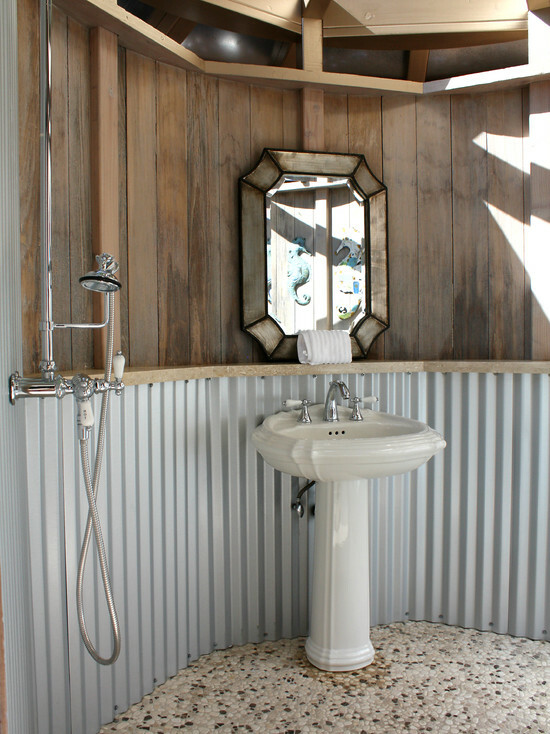 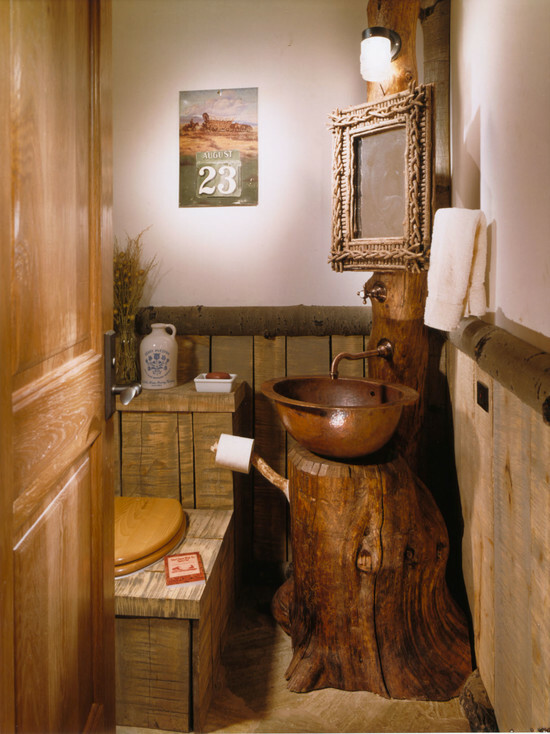 It is not true because a bathroom should be comfortable and sophisticated too, even though it is only a small room. 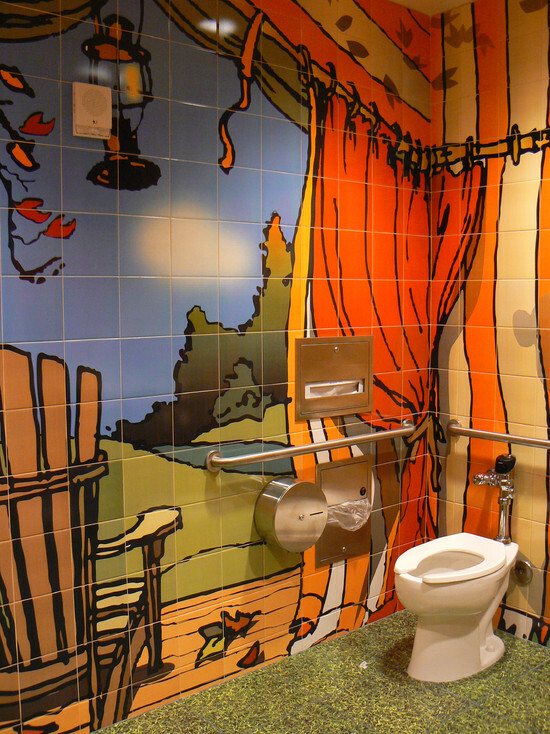 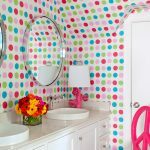 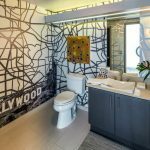 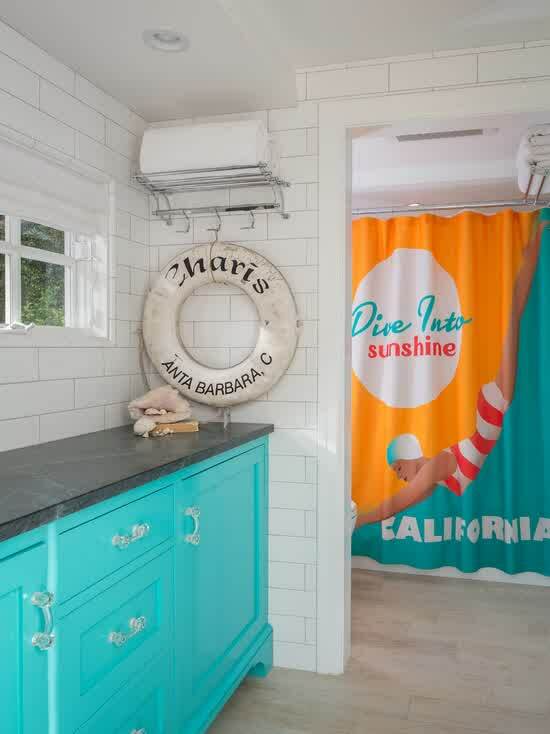 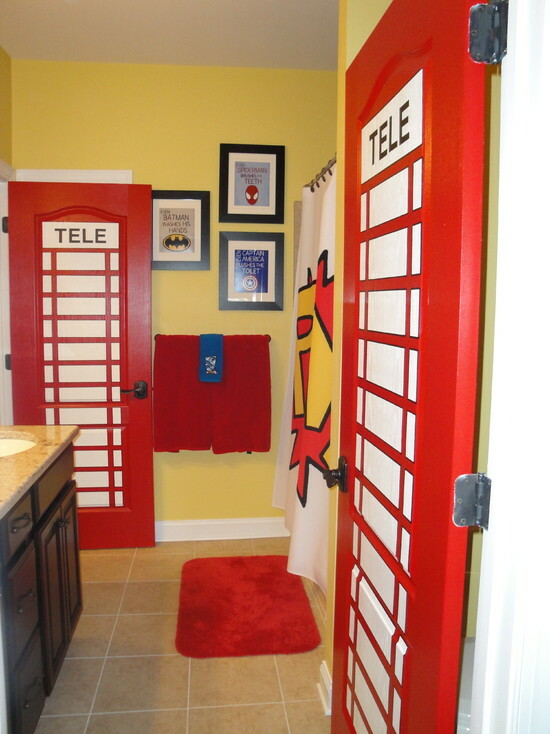 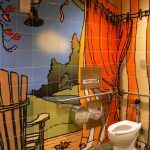 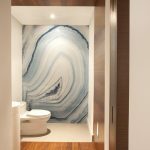 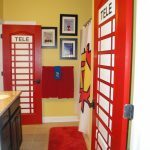 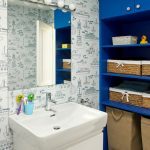 You can make your bathroom more enjoyable by creating a unique and fun theme. 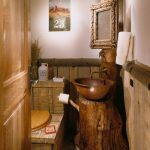 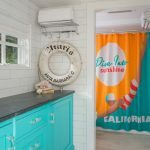 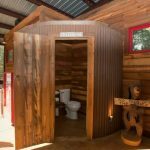 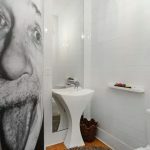 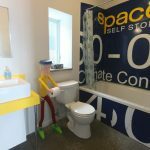 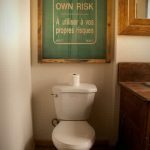 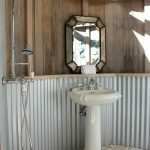 Many unique concepts and items can be applied in the bathroom so you will not feel boring during your time in it and your guests will find it entertaining. 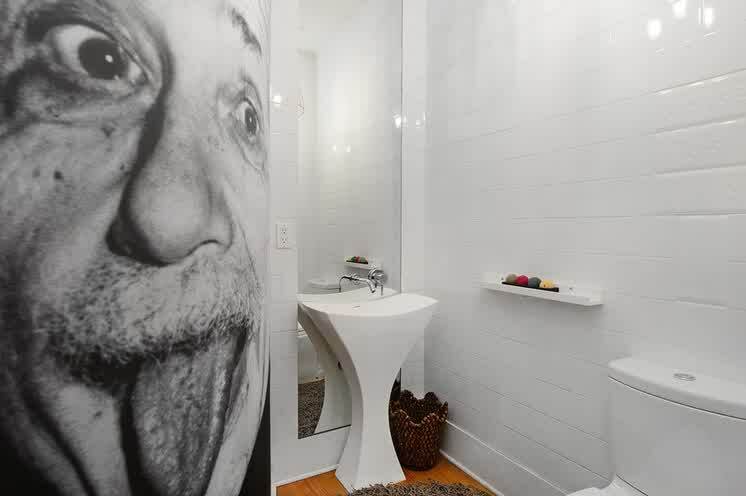 The first item that can make your bathroom more amusing is a toilet paper holder. 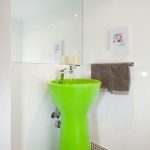 The holder can be formed into many objects, including a standing man. 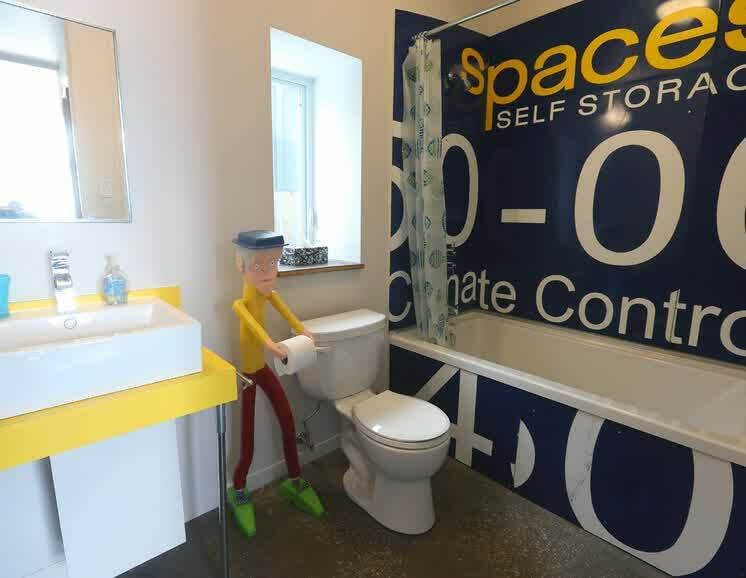 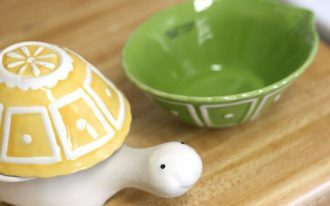 It maybe a little bit creepy during the night, but it can be a good listener while you are doing your business. 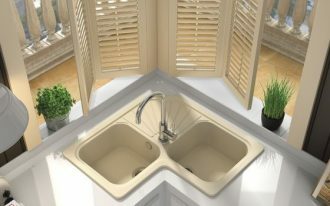 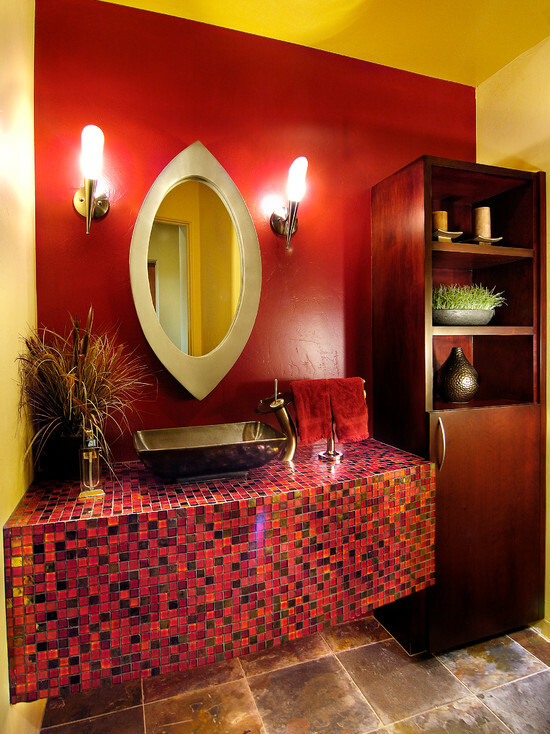 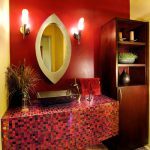 A sink with bright or even neon color can be a playful fixture that reminds you to always wash your hand before come out of the bathroom. 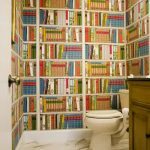 A funny wall decoration must be hung if you have a dull bathroom. 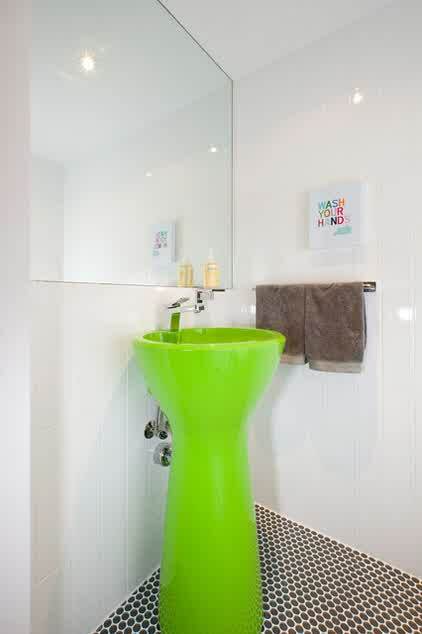 Animal head statues usually placed over a fireplace now can be surprising decorations for your guests. 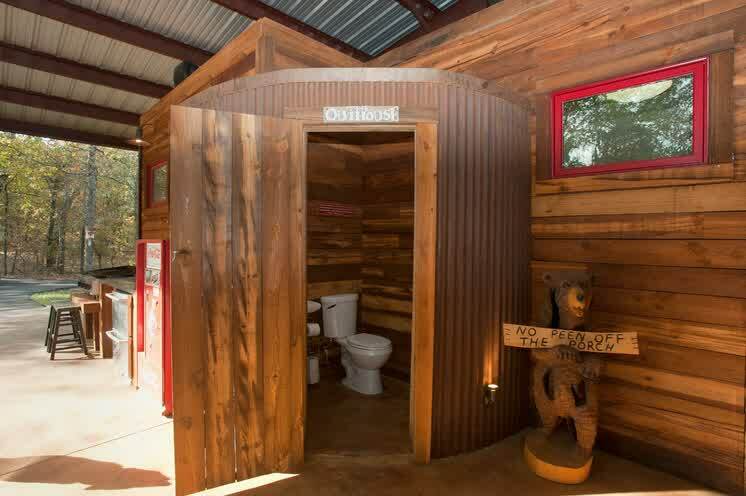 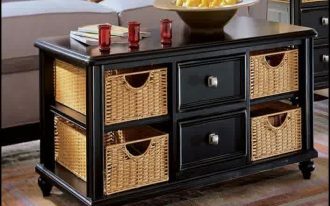 You can choose antelope, deer, or even lion as the unanticipated decoration. 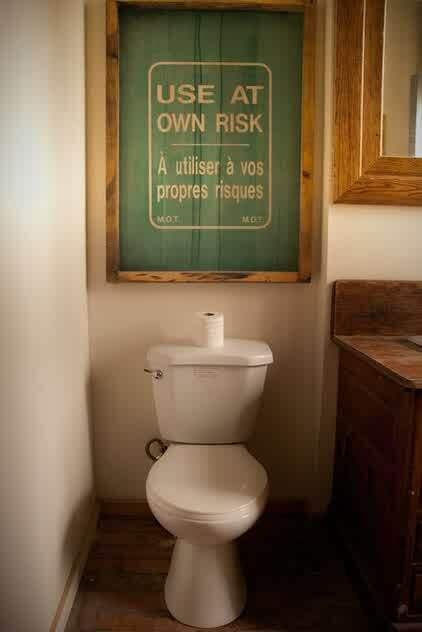 An artwork with a funny quotation or painting is another brilliant idea. 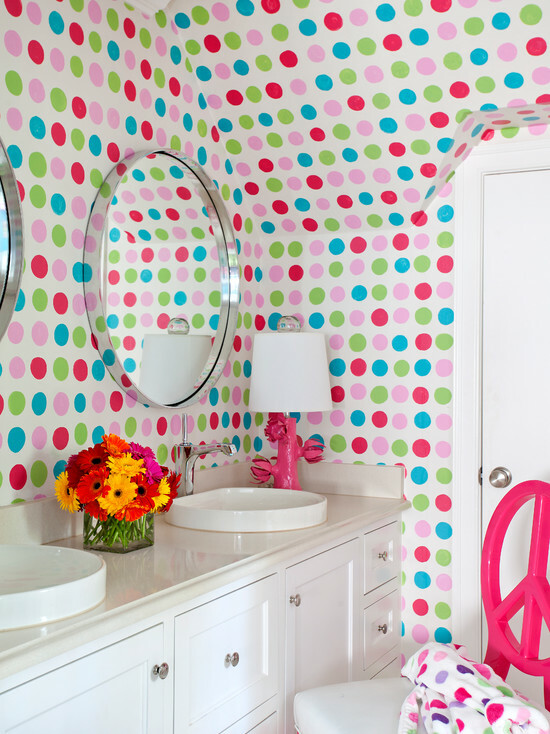 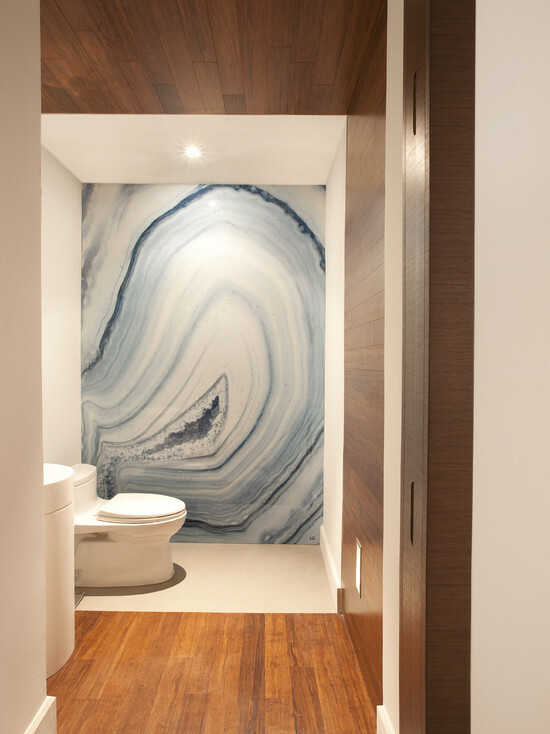 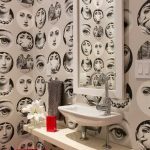 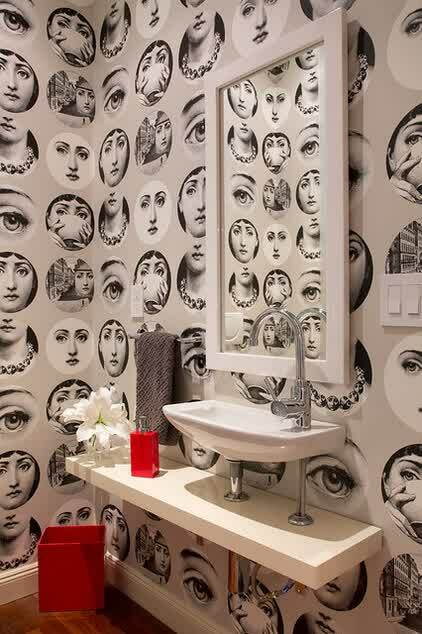 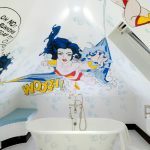 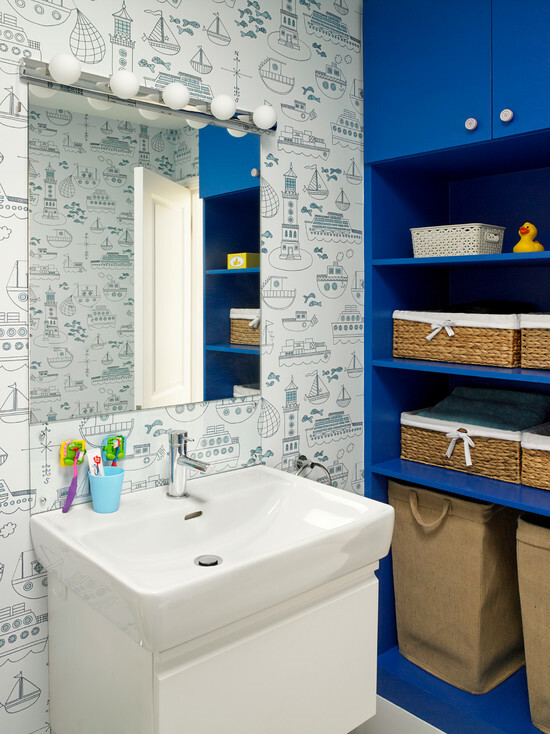 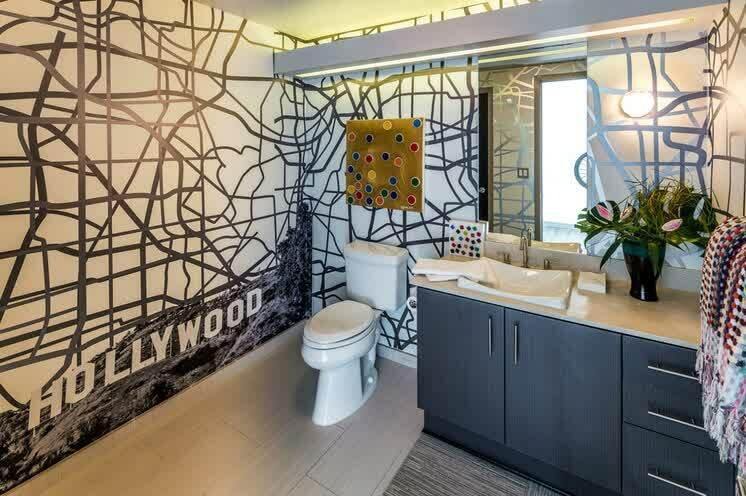 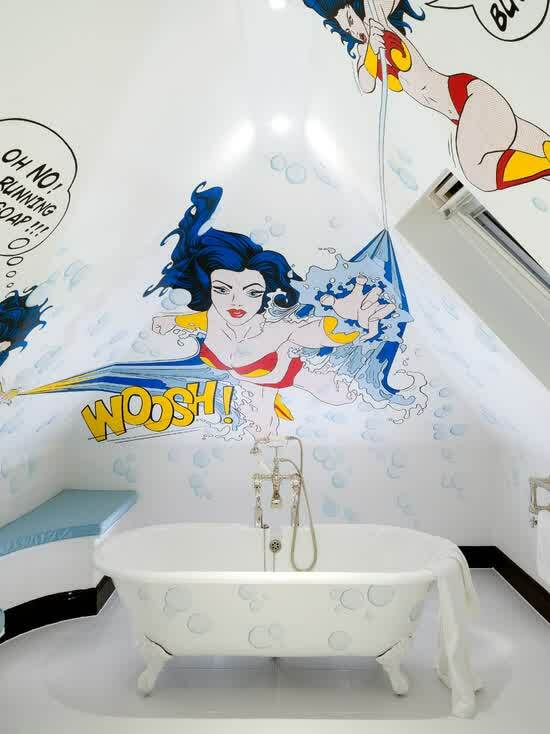 If you want to totally redesign your bathroom with creative themes, changing the wallpaper can bring a great effect. 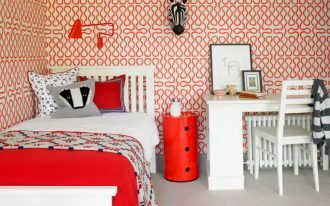 Do not just pick wallpaper with bold color or geometric pattern. 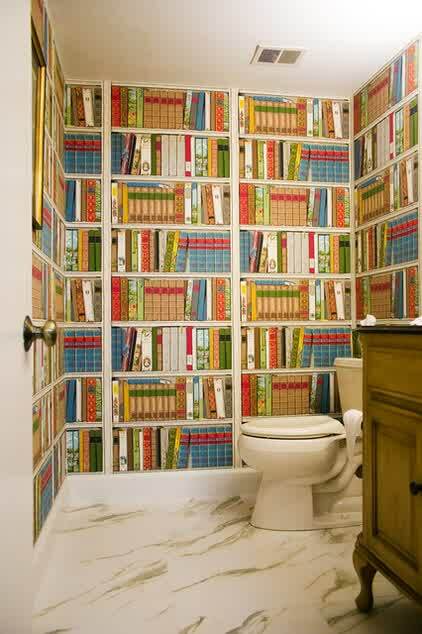 Choose wallpaper that has different patterns than the others, such as bookshelves, subway, heroes painting, and more.